Today I am going to review one more product from Aroma Essential , its Sebum Control Gel . 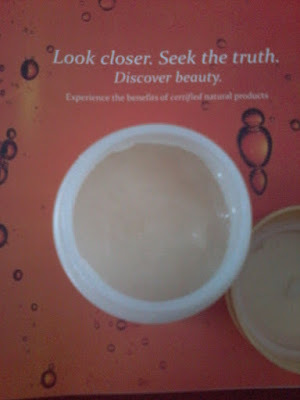 This Sebum Control Gel is a type of night cream for oily skin . It helps to control excessive production of sebum on face and thus tries to reduce oiliness of skin . Six months from date of manufacture . The product is a thick white gel having a nice fragrance of aloe vera . The product claims to remove blemishes and bring back the troubled skin to clearer look and feel. I have been using this product past 15 days and my experience with this is good . It does what it claims . One needs to apply this gel on face after washing it with a good face wash in night . One needs only few drops of it and massage it properly on skin . 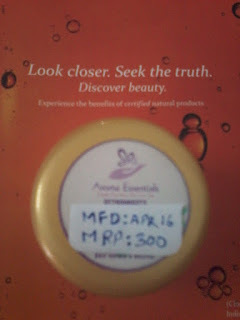 Earlier when I was not using this , in the morning my skin used to look and feel very oily , but now when I am using this gel I found that in the morning my skin does not feels so oily , it looks clean , clear and oil free . 1.Does not contains any harsh chemicals . 2.Does not contains any artificial colour or fragrance . 3.Not tested on animals . 4. Made from natural ingredients . 5.It does what it claims . 1.Availability might be an issue as its not available every where . 2.Tub packaging is not very hygienic .